Office space planning and design involves the maximisation of office interior space whilst taking into account the need to create a productive, pleasant working office environment. Whether redesigning your present office interior space or moving into new offices, office space planning and design helps create the appropriate environment for your specific business needs. Office space planning is a LockwoodHume speciality. Your office can have all the style in the world (which we will happily give you). But if the M.D. ends up working in the toilet with three new recruits and new equipment has to be delivered through the office roof…well…what’s the point? When planning the best way to lay out your office space, we listen to you about the needs of your business today, but we also look at future requirements so that any designs we produce encompass these as well. We use the latest office space planning design and software along with our years of experience and a good portion of common sense when designing working plan for your office space. We are also fully conversant with current guidelines and regulations and can make sure that your project is fully compliant. So can carry on doing what you're good at and let us get on with what we're good at! Not sure? Why not call us now on 01603865582. - Get LockwoodHume in early to work alongside your architects it can save costly changes having to made later on. - Early involvement in your office projects ensures that lighting, air movement, power, data, telecoms and other services can be fully integrated into the overall plan. - Before making the decision to move or reorganise your office space, it’s advisable to have a feasibility study, to check that your objectives are achievable. lockwoodhume offer Free , no obligation, nationwide feasibility service. - Is noise and light both inside and out going to be a factor. It isn’t just about taking boxes of stuff from one office to another. The organisation of the office move can take time and cause loads of hassle and whilst all that is going on , who’s going to be running your business? Let us do the hard work and you carry on doing the things that pays your bills and leaves you a little for the good things in life. - Post move clean and care. LockwoodHume's office move team works nationally from our base in Norfolk. Changing your office environment can be a complex undertaking. There is so much to consider, with the potential for many pitfalls along the way and the possibility of cost spiralling out of control. Lockwoodhume make the process of relocation as painless as possible. Via initial meetings either with customer, designer, architect we will endeavour to ascertain what makes your company tick, your customers, your people, your philosophy! We will then undertake a free feasibility study using the knowledge wre have gained about your company, your environment and your thoughts on what you would like in your new office. Next we take all that information and by utilisation of modern office space planning techniques, expertise and contemporary design flair. Taking into account latest legislation we ensure the optimisation of your available space. You will be provided with detailed drawings, visual aids, finish colour boards, and once these are approved firm costs. Now we arrive at the big day….Your office installation. This is for many people the most daunting aspect of the process, bringing everyone together on the day can certainly be a challenge, and let’s face it contractors can be experts at throwing a spanner in the works. With our experience in office relocation you can be sure that everything will happen in the right order, on time, on budget and satisfying all legislation requirements. And it doesn’t stop there, we now help you settle in. Making minor adjustments to things like office seating, office desking, office storage solutions and generally being there if need to help in any way. And just to be of further assistance, we have ways of helping you cover the cost of your office project. Budgets can be tight and can result in limitation within your project. Leasing is an ideal way to overcome budget issues as payments are fixed for an agreed period and as an added bonus, it’s tax efficient, this makes office furniture an ideal candidate for leasing. - Contractor management, electricians, flooring, partition walls, etc. Not sure? Call us on 016038365582 to discuss you project. We undertake to manage your project no matter how big or small so you can carry on your core business. We will make sure that everything is done in the correct order, ensuring that the electricians are finished before the decorators start, the decorators are finished before the flooring is laid and that the flooring is laid before the furniture is installed. Get the picture? Oh and we even keep an eye on the telephone people to make sure you have lines ready when you are. Will the sun shining through the window be a problem? Are the electric sockets in the right place and are there enough of them? Will the Printer fit up the stairs? Where are we going to put the table tennis table? Need we say more? We’ve got it all covered. That all sound easy, however it could easily go a bit haywire, particularly if you are trying to do your job at the same time. Not if Lockwoodhume manage it for you. Not sure? Call us on 01603865582 to discuss your project. You don’t need to stop working just because you are having your office refurbished…..We can refurbish your office around you whilst you stay at work. It’s vital that your business is not adversely effected by the improvement works that you are making to your office environment. We take special care to avoid needless disruption, arranging our office refurbishment work to fit around your work, working when you are not there if needed through the night and at weekends. Your dedicated project manager will always be available to organise the refurbishment work on an ongoing basis to ensure we finish the job on time, on budget and to your complete satisfaction, giving you absolute peace of mind. 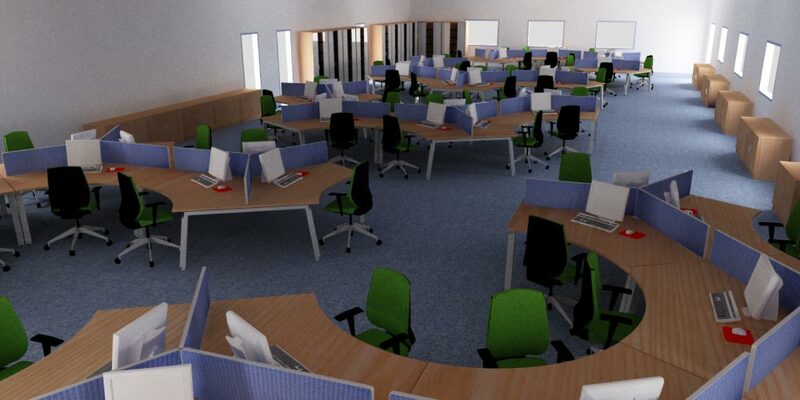 Our comprehensive office refurbishment service means you don’t need to worry about anything. We can even help you to pay for your project. 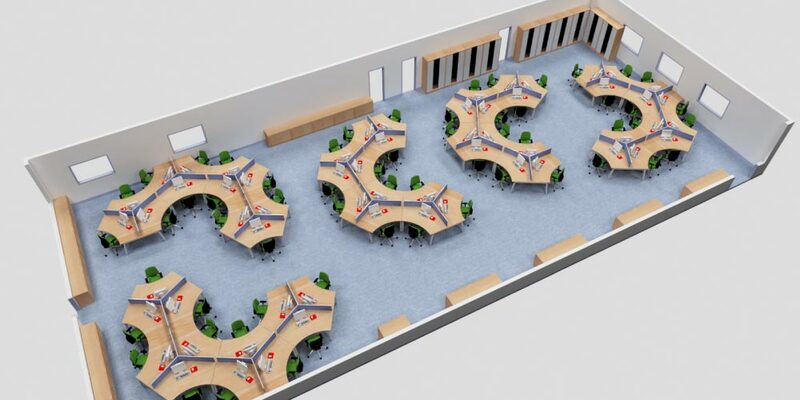 Our national fit out team offer flexible, bespoke solutions for the complete office fit out. From floors, walls and ceilings to outside landscaping, we’ll incorporate reception and waiting areas, storage and media walls, even outside smoking areas. In fact whatever you require. Your LockwoodHume office fitout project manager will work closely with you to co-ordinate the transformation of your open space into a fully fitted out working environment. Completing the project on budget and on time. Whatever your heart desires……The sky’s the limit. 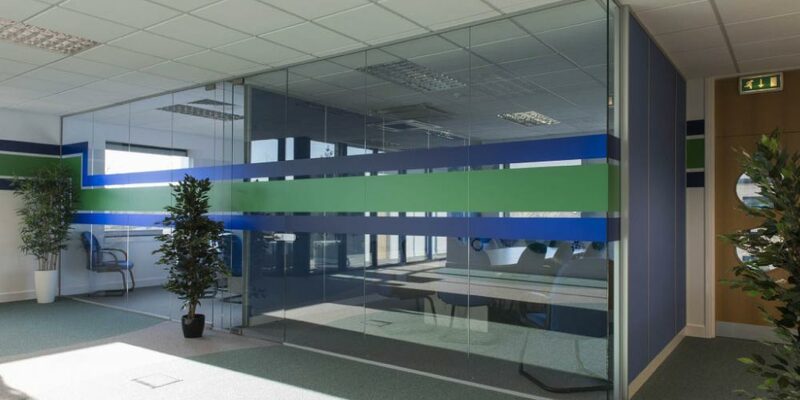 - Fixed partitions, demountable partitions, relocatable partitions. - Inside and outside landscaping. And we can even help you to pay for it all.